When it comes to a business’ online strategy, questions abound for social media practitioners about how to best leverage and integrate the many online marketing tools available. The disciplines of search, social media and content marketing continue to intersect and often combine to create a powerful mix. Companies and individuals are creating competitive advantages as they adapt to shifts in technology and consumer behavior. 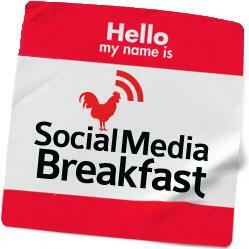 On Aug. 26, the monthly Social Media Breakfast Minneapolis/St. Paul (SMBMSP) will hone in on this integration. SMBMSP brings marketers, PR professionals, students, entrepreneurs, social media practitioners and enthusiasts together for a unique educational opportunity incorporating panel discussions, presentations, case studies, debates and breakout sessions. This month’s SMBMSP featured speaker is Lee Odden, CEO of TopRank Online Marketing. 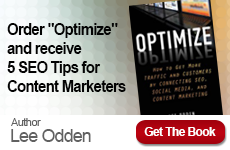 A veteran internet marketer, Odden has consulted for leading B2B companies. He has frequently been cited for his search and social media marketing expertise by leading business publications including The Economist and Fortune Magazine. Odden’s presentation will discuss how businesses have integrated Social Media, SEO and Content Marketing to increase sales and improve customer engagement. This session will provide practical examples of B2B and B2C companies overcoming the competition with an agile, customer-focused content marketing strategy that’s search engine optimized for the social web. 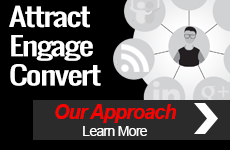 Stay tuned to the TopRank Blog for a live blog session from SMBMSP.